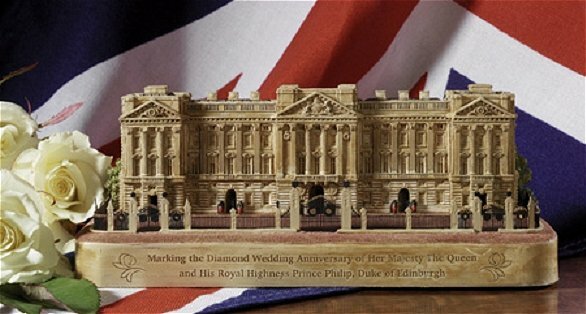 Buckingham Palace has been the main London home of the Royal Family since the time of Queen Victoria. The front façade, where the changing of the guard takes place daily, is familiar worldwide, especially the balcony where the Royal Family gather on special occasions. 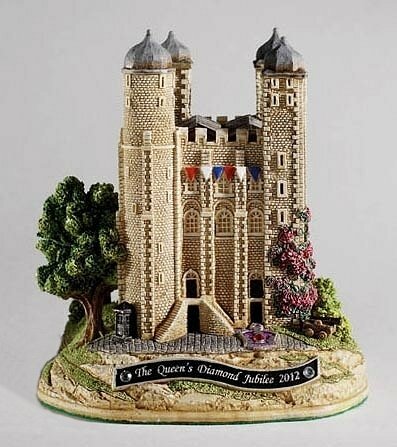 Marking the Diamond Wedding Anniversary of her Majesty The Queen and His Royal Highness Prince Philip, The Duke of Edinburgh, this wonderful portrayal of Buckingham Palace features emblems representing special occasions over the years and is only available during this celebratory year. 4 inches wide by 4 inches high. Watched over by traditional Yeoman Warders and the famous ravens, this is the most visited site in Britain today a marvellous testament to its 900-year history. 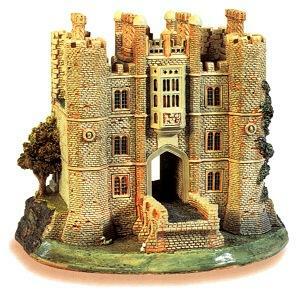 L2248 Lilliput Lane Hampton Court. 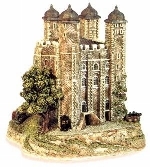 4.5 inches wide by 4 inches high. 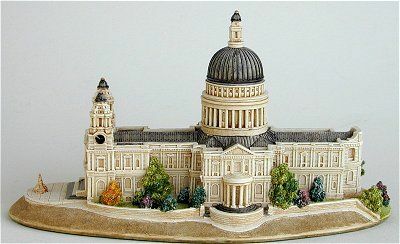 Designed by Sir Christopher Wren and constructed of Portland stone between 1675 and 1710, this building replaced the old St Paul’s which was destroyed in the Great Fire of 1666. Opened in 1894, this impressive bridge was hailed as a marvellous feat of engineering by contemporaries. 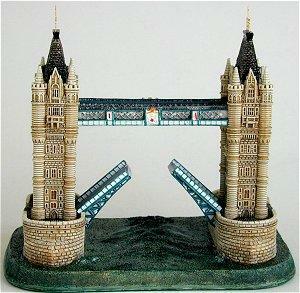 Today, it is recognised worldwide as one of the great symbols of London. 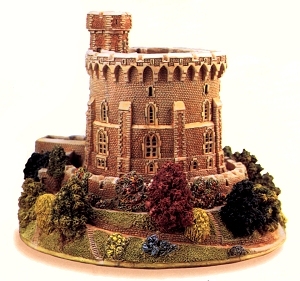 Part of the original Plantagenet medieval fortress, the Round Tower is one of the oldest surviving parts of the ancestral home of the British Monarchy.